Unleash the creative power of young people to regenerate democracy and protect their future. Phipps' science education department, in partnership with Young Voices for the Planet and New York Times best-selling children's author and filmmaker Lynne Cherry, is pleased to invite you to the Paula Sculley Memorial Civic Engagement and Democracy Educator Workshop. The goal of this exciting new workshop is to equip Western Pennsylvania educators of students from K – 12 with the tools to help their students become engaged citizens around the vital environmental issues of our time. This full-day event is just $15 per person to attend. Phipps will provide light refreshments and lunch during the workshop and Act 48 Continuing Education credits will be available. Registration must be made online no later than Fri., April 26 at 1 p.m. Walk-in registrations will be welcome Sunday, but you must email Dr. Maria Wheeler-Dubas at mwheeler-dubas@phipps.conservatory.org and bring $15 payment in cash or check. 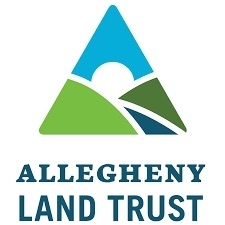 If you are interested in the Act 48 credits, they will be available through the Allegheny Land Trust for a separate $5 cash or check made out to Allegheny Land Trust. When young people speak out, their voices have power. The goal of our proposed Pittsburgh workshops is to introduce our new Civic Engagement curriculum which delves into the psychology and social science aspects of climate change education. We will teach educators to replicate the workshop and reach even more educators who can guide young people to play a part in local decision-making about issues of their choosing. Rather than focusing on how one might hypothetically take action, the workshop highlights actual success stories of real-life youth in the Young Voices for the Planet films who discuss their concerns and succeed in their objectives, changing minds, laws, and communities, and inspiring their peers to take action, too. This workshop is cross-curricular and will help educators use the YVFP films and curriculum to meet Common Core standards in Civics and Socials Studies (C3) as well as science, english, and the arts that link to the next generation science standards (NGSS). The YVFP action plan is transferable to any issue, breaking down problems into manageable pieces that don’t feel overwhelming. Join us and learn to unleash the creative power of young people to regenerate democracy and protect their future. Lynne Cherry is the producer of the Young Voices for the Planet films, the founder of YVFP, and a New York Times bestselling children's book author, most famous for her award-winning rainforest classic The Great Kapok Tree, which has sold 4 million copies and inspired millions of children to help protect the environment. A passionate conservationist, pioneer and leader of the environmental movement in Western Pennsylvania, Paula Sculley (1945 – 2017) was the co-founder of Phipps' Botany in Action and the Fern Hollow Nature Center. She touched the lives of many through these efforts and her longtime roles on Phipps' Board of Trustees and the Garden Club of Allegheny County. Questions? Contact Dr. Maria Wheeler-Dubas, Research and Science Education Outreach Manager at mwheeler-dubas@phipps.conservatory.org or (412) 622-6915, ext. 3220.